You like games? We like games. 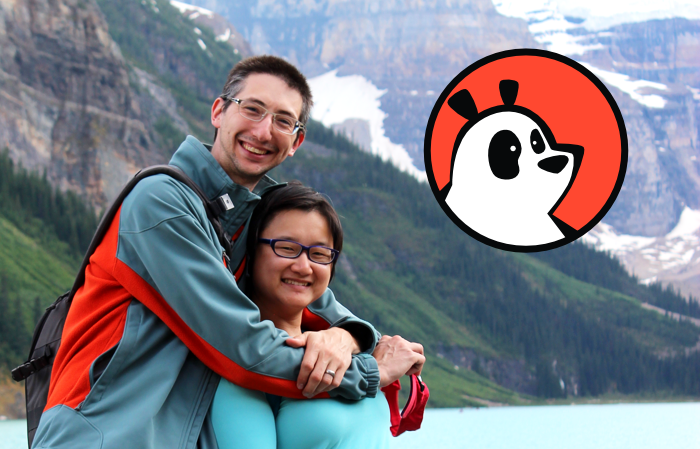 Weekend Panda is a husband and wife indie dev team. In 2018 we decided to try something crazy and do this full time. Liang (wife and Software Engineer of the duo) quit her job of 13 years and J.K. (husband and artist/writer) danced around gleefully to start working 24/7 with his best friend. The work is hard. We want to make fun experiences for you, the player. At the same time, “life” exists and we need to be responsible and pay bills. We’re working to find the balance of the two. Our goal is to do great work and hopefully eventually survive based on that great work. And if it all flops, at least we know we tried. Life is too short to not try. With a degree in Computer Science and a passion for logic, Liang is the left-brain half of the Weekend Panda team. She takes ideas and sifts out the best ones vs. what should probably be regulated to the “that’s crazy, programming doesn’t work that way” pile. She makes the games function (usually after J.K. tries to help and breaks the code). Author of The 15 Day Creativity Boot Camp, J.K. likes to stare at clouds and dream up ideas. Without Liang to keep him on a path he would most likely end up lost in the woods somewhere, enjoying nature in spite of having no idea where he was. J.K. is in charge of the whimsy, and making lunch. He also helps Ferdinand Englander run AnimatorIsland.com and mentors younger artists. We are both Christians who are trying to improve ourselves daily and avoid the hypocrisy that can be so easy to fall victim to. Our goal is to be kind, patient, and compassionate with everyone we meet, as God has been with us. We’re grateful for this chance to work together and try to add positive things to the Earth. We hope your life will have a little more joy as a result of what we’re trying to create!